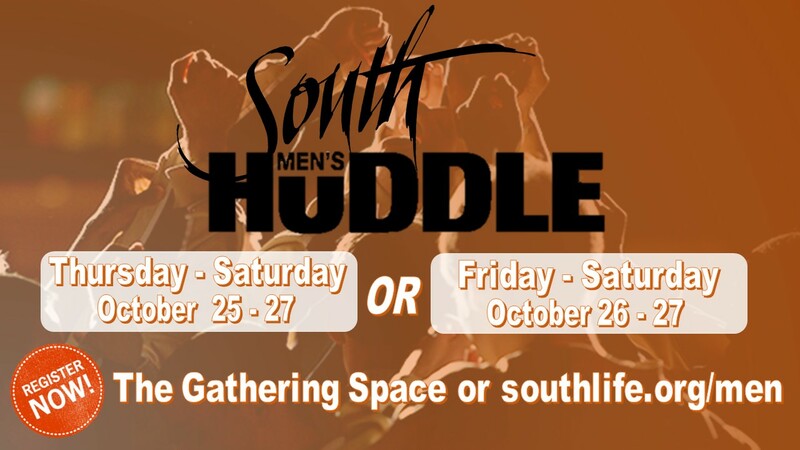 South Men’s Huddle is a getaway for guys 16 years and older on October 25-27 at the beautiful Maranatha Bible & Missionary Conference. Join us for a great time of food, fellowship and teaching on Discipleship. You can choose to come Thursday-Saturday or only Friday-Saturday. The cost is for two nights is $150; for one night it is $100 – pay what you can/pay for another man – and registration is due by October 21. You can register and pay by charge online or register and pay by check at the table in the gathering space or in the church office during the week.